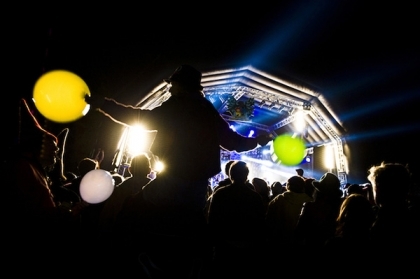 Blissfields Festival 2015 - 3 weeks to go! FestivalPhoto have kindly been allowed back for the 4th year to attend the amazing little gem of a festival that is Blissfields. With only 3 weeks left to go till the gates are opened and the happy festivalgoers flood in to get ready for 3 days of fun and excitement! Starting in 2001, and now in its 15th year Blissfields has continued to stick to its values of being a small and inviting boutique festival. Only slightly increasing its capacity to a now comfortable 5000. It holds a firm position in the small festivals category and is a winner at the UK Festival Awards. They seem to have an amazing aptitude for selecting and welcoming artists who will in the near future make it on to the big stages. Examples of this can be seen from their lineups in previous years such as London Grammar, Bastille, Sam Smith, Years and Years, and many more! What has been said about Blissfields you ask? With comments like these, and lots more out there, it’s not something us here at FestivalPhoto would suggest missing! 2015 will see a huge eclectic mix of live acts, djs, and activities! Many areas returning from previous years, brand new installations and artwork dotted around the site, interactive festival scenery, and many new games and activities to keep everyone intrigued and enthralled throughout. Also have a quick gander at the lineup poster for a speedy injection of what’s to come. •	Amoeba To Zebra – Speakers bringing alive thought provoking topics. 2015 there will be discussions about the natural world, science in general, and of course the idea of time travel. •	Angel Gardens – Built for the family, little kids and big kids of course. Learn about protests, get involved with crafts, dance, drama, yoga, and just general wackiness. •	Back of the Bus – A back of the bus looking dj booth spinning tunes all evening to keep your feet tireless. Bound to hear some old-skool classics during the course of the weekend. •	Boutique Camping – Luxury camping experiences for those of you who can’t camp, but must glamp! •	Craft Area – Satisfy your artistic side, be inspired by the skilled artisans, create your own unique treasure, or just chill out and relax in the wonderful garden space. •	Electric Dreams – The Blissfields cinema screening both independent short films and late night movies! •	Fields of Bliss Spa & Posh Wash – A tranquil haven in which to relax with hot tubs and a relaxation area. There’s also ‘Posh Wash’ for those of you who want proper loos and showers. •	The Hidden Hedge – Huge installations, visual effects, live sounds, fire pit, chill out area, intense lighting and the return of the amazing ‘Area 51’ dance dome! •	Hobgoblin Beer Festival – Partnering up with Wychwood Brewery there will be a wonderful array of real ales. •	Time Warp Sportsday – Bedlam and offbeat competitions, a sports day not like you know it! Tickets are set to sell out and are nearing that point so for all you last minuters there are only a handful left. 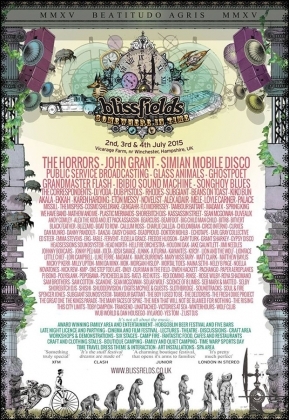 Tickets can be bought from the Blissfields website.